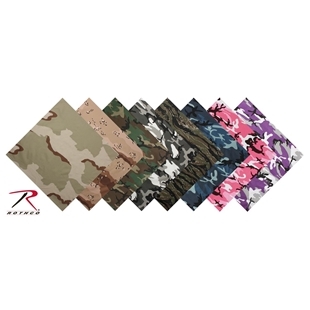 Rothco's coloured camo bandanas are made from 100% cotton and are sewn on all four sides. 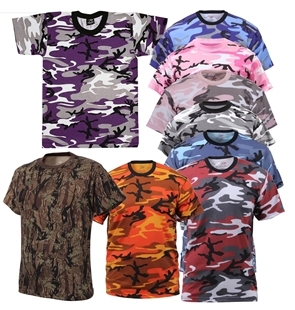 Available in sky blue camo, ultra violet camo, red camo, pink camo, savage orange camo, subdued pink camo. Rothco's coloured camo bandanas are made from 100% cotton and are sewn on all four sides. These coloured camo bandanas are perfect for head wraps, or for tying to luggage for easy identification at airport luggage chutes. Available in sky blue camo, ultra violet camo, red camo, pink camo, savage orange camo, subdued pink camo. Sewn on all four sides. US Made, Olive Drab Nylon Paracord in 1,000 foot spools. This is high quality Type III, US made, 7 strand, paracord at a slightly better price than our other 1,000 foot spools. You will find the quality of this paracord the same as other US made cord, however, this supplier offers us bulk purchase discounts allowing us to pass some savings to you.